Odeta Limaj is an experimental condensed matter physicist by background. She did her PhD at Sapienza University of Rome, working on plasmonic devices operating in the THz and mid-infrared range. She continued her work at Photonics Center at Boston University and finally moved to EPFL in H. Altug’s group. The main focus of her research in the last year was the design and investigation of plasmonic arrays integrated in lab-on-a-chip devices for real-time monitoring of protein-lipid membrane interaction. Two years ago, she decided to explore scientific research from a different point of view and joined the European Research Council as Project Advisor in the Physical Sciences and Engineering domain. 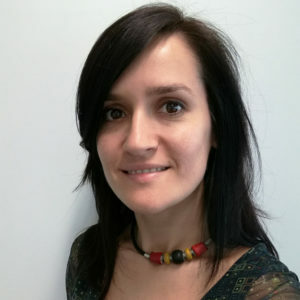 There, her work consists in managing the evaluation process and following the progress of various ERC funding schemes (Starting, Consolidator, Advanced and Synergy grants).